3 Bedroom Detached House For Sale in Marlborough for Guide Price £635,000. 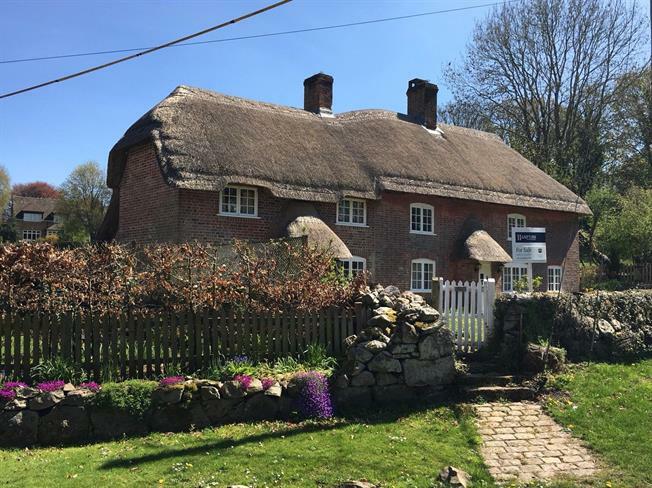 A beautifully and sympathetically remodelled and upgraded detached thatched cottage set in this desirable down land village. The property offers much in the way of inherent character and period features in the form of exposed timbers and brickwork as well as latched wooden doors and open fire places. All of which have been enhanced by the current owners to create comfortable living. Formerly two cottages this Grade II Listed property offers a well-balanced arrangement of accommodation which includes a triple aspect sitting room with solid Elm wooden flooring which continues into the adjoining dining hall. There is a newly fitted kitchen with shaker style cupboards with timber work tops a gas fired range cooker and ample space for a kitchen table. To the rear of the cottage there can be found a useful utility and downstairs wc. On the first floor the main bedroom is dual aspect with an ensuite bathroom. There are two further bedrooms and a family bathroom. All these factors combined make this a most enjoyable country cottage with a modern twist. The cottage stands proudly overlooking the dene in an Area of Outstanding Natural Beauty and a Conservation Area. The garden wraps around the cottage and has been landscaped with low maintenance in mind. To the front of the property the garden is enclosed by an attractive sarsen stone wall and box hedging. There are views over the Dene to the front and a paddock to the rear. There is ample parking to the side making this a perfect country abode both inside and out. Mains water, electricity and drainage. Oil fired central heating. Completely re-thatched in 2017.